The winner of the Distinction Hotels Milford Mountain Classic, Jeremy Yates, has heaped praise on the road cycle race after comfortably taking out the inaugural honours in Te Anau yesterday. The event – an 120km road cycle race from Milford to Te Anau – had stemmed from an idea mooted six years ago and organisers were thrilled to see it come to fruition yesterday, with more than 120 cyclists taking on either the full route, or the 63km Eglinton Challenge. Plans for next year’s edition are already underway and feedback from competitors, organisers and sponsors had been hugely positive. 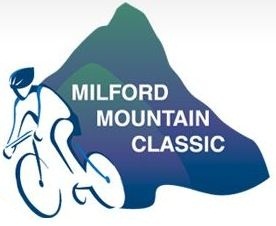 Set in midst of spectacular scenery, the Distinction Hotels Milford Mountain Classic offered competitors a challenging, but rewarding ride. Yates made the break on the gruelling initial climb from Milford to the Homer Tunnel and, after heading through the tunnel, he already had a one minute lead. After that he looked back just once – then took on the next 110km alone. “I thought you have to commit to doing the whole race by yourself, or sit in and wait for guys to roll up,” he said. The Te Anau finish line was a welcome sight for Yates, after facing a tough head wind over the last 40km. “The chance to do that climb up from Milford is on par with stuff you find in Europe,” he said. Shem Rodger only opted to enter on the eve of the race and finished second, and Chris Macic was third. Macic headed back to Invercargill today on his bike – riding 180km from Te Anau to Invercargill via Riverton. In the female section Alexandra cyclist Sophie Williamson had a brilliant ride to take the race honours, ahead of top New Zealand cyclist Serena Sheridan. Elizabeth Tomlinson, of Wellington, picked up third place. Sport Southland event manager Matt Sillars was thrilled the inaugural event had gone well and said the organising committee could take plenty of positives and a lot of ideas into next year’s event. “The mood of the organising committee, the competitors and the sponsors suggests it was a great event – and it’s onwards and upwards for the 2013 event now,” he said. The Eglinton Challenge, a 63km ride from Knobs Flat to Te Anau, was won by Southland’s Jen Muhl after a brilliant ride. In the female category Marcella Robertson was second and Nicola Stevens was third. The male category was won by Logan Black, with Neil Sutherland second and Wally Kopae third. The Distinction Hotels Milford Mountain Classic is supported by the Te Anau Project Group – a sub-committee of Destination Fiordland -, Sport Southland, Fiordland College and Cycling Southland.